The brightest Fragaria I have. I too have some of this one, given to me by a friend a couple of years ago, and they do fruit well . The berries arn't as big as the others though. I have mine in the shade, so this one doesn't fruit. I get a few strawberries off 'Pink Panda' though. They do rather spread, don't they - but you do get 'free' plants, after all! 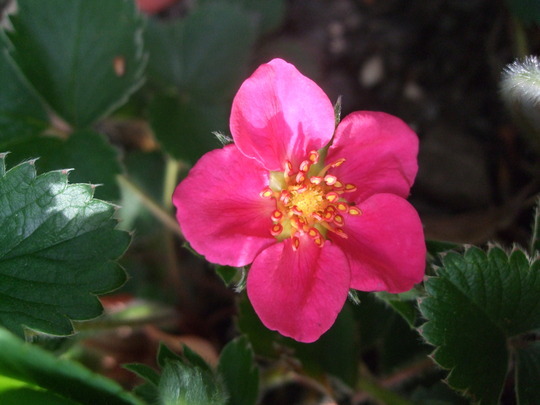 This photo is of species Fragaria.